My last haul was a "Part One" from two parts in my "Presents From Parents" post. This is not "Part Two". This is a haul from my extended family meaning aunts, uncles and grandparents. "Part Two" is coming. MAC Mineralized Eye Shadow in "It's A Miracle"
From the Magic Mirth and Mischeif collection. 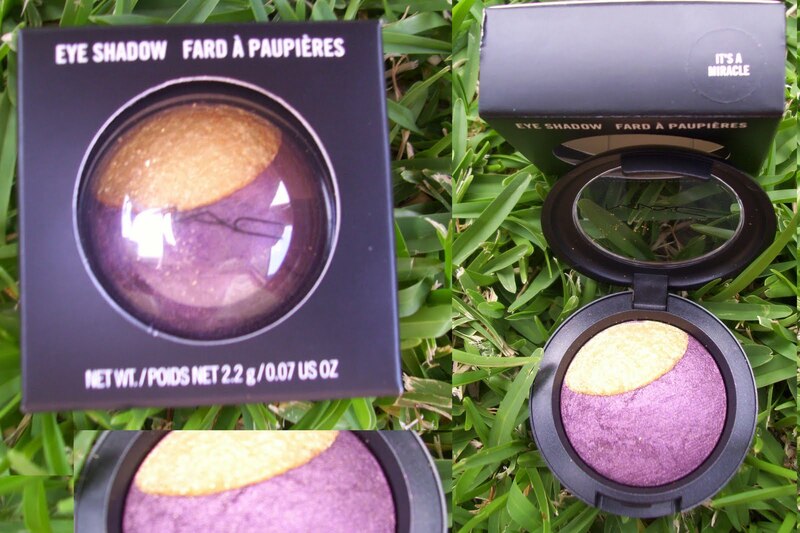 A deep purple with a gold cresent. MAC Plush Lash mascara in "Plushblack"
I thought i wouldn't like this because everyone says how bad MAC mascaras are. However, i found it to do amazing things to my lashes!! Napoleon Perdis "Party Set" and "Jet Set"
"Party Set" being bright and vibrant colours and "Jet Set" being more subtle and neutral colours. These sets are amazing! So cute and compact but very high quality. Revlon "Colour Collection" gift set. Revlon Nail Polishes in Eggplant, Silver Screen, Make Mine Mango and Fuchsia Fever. Revlon eyeliner in "Rose Pink"
Revlon Creme Gloss in "Play Up Pink"
Revlon Lipstick in "Pink Pout"
All of these Revlon lip items can so easily be duped with MAC items! Good quality and stunning colours. Revlon Bronzing Powder in "01 Soleil"
I am so glad i recieved this because i have been looking for a no shimmer bronzer for ages! Before opening this i watched some reviews on youtube and they were ALL bad. Expressing concerns of clumping and smudging. However, mine was completley not like that at all! In perfect condition and no clumping on the brush to be seen. Revlon Matte; mono eyeshadows in "Pink Innocence" and "Rich Sable"
These seem super pigmented and are packaged so cutely. Incredibly soft and i can see this challenging my MAC kabuki. Such a pretty design and it feels so silky.
" So...? Sinful" purfume and deodorant combo. 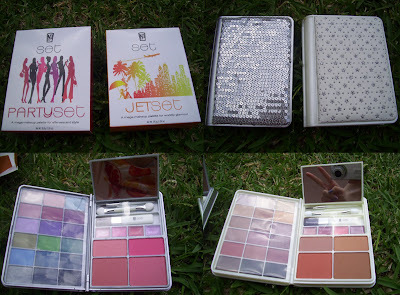 Elizabeth Arden nail polish in "Shimmery Pink"
Chanel eyeshadow compact in "22 Exaltes"
An overview of what i recived. Oh my gosh i am being flooded with presents this birthday. I dont even know what to say except thank you so much to all of my family and friends. I have been given so many gifts this year and it is just making me even more excited for christmas. I think i have done 3 birthday hauls already and i have another 2 to do. That just shows how much i have gotten. But i am very thankful and appreciate everything. The Revlon "Colour Collection" gift set looks nice! Could you please do a review on the Napoleon Perdis sets. They look like anm interesting concept but i don't really get how they work or what is in them. I can't believe you got MAC mascara to work for you!! You are super lucky for all these presents! Yes please do a review on the NP sets. they loook so pretty. i cant believe you got so much stuff i mean oh my gosh girlwhat are you getting for christmas? oh and i am desperate for that mac mascara to be reviewed cuz i cant believe it is actually working for you. LOL i know, i havn't even had time to put it all away. I was amazed at MAC mascara actually working because even as i was putting it on i was to myself "be prepared for a crappy mascara". But it was the most pigmented black and made my lashes look false. I had a very nice birthday thank you. I am very happy with all of my gifts. 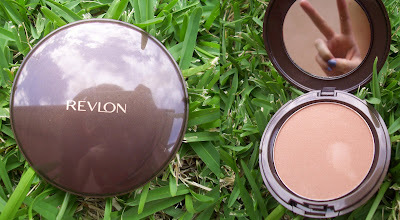 I am thinking of doing a more detailed post on the Revlon set because it is extroadinary as i liked everything in it. Sure, i will do a review on the NP sets. I probz didn't provide clear enough pictures. I know it was good to try my first MAC mascara and it to be amazing. Review on NP sets are coming. I am not sure what to ask for, for christmas because i practically got everything i wanted for my birthday. Also, MAC Plushlash mascara review coming. WILL YOU STOP SHOVING IN OUR FACES WHAT YOU GET?!?! WHY DO YOU EVEN DO HAULS? I am sorry if you feel i am shoving what i get into your face because i am trying to do the opposite. The only reason i post hauls is so that people know what i have and can request reviews. Read comments above and you will realize why i do hauls. so that people can request reviews! On that topic, anything you would like to request a review on? I think you should do more reviews than hauls! i really like your reviews and would love for you to begin writing reviews often. Thanks for doing a review on the Napoleon Perdis. I have not tried mac mascara before but from many reviews i have heard that they are awful. I would also like to say that you are oh so very pretty in you OutFit Of The Day section to the right column of your page. Your like the big sister i never had and i look up to you a lot. Thank you for blogging and don't let the sour comments by Mrs Williams and Mrs Hannah effect you. I do not see your hauls as a form of bragging because i learn so many different things. for example now i know that mac mascaras canbe good and that elizabeth arden sells nail polsih. dont stop your hauls because i know many people enjoy them and you probabally enjoy it as well as a way to keep track of the things you buy or something like that. I have a lot of reviews headed your way if you check my "Upcoming Posts". I would like to thank you for reminding me thats it is not just about hauls and products. It is about the reviews as well. Thank you Hannah for the input and i hope you enjoy the future posts. I am not sure why MAC mascara is working for me but i am not complaining. Thank you and i am glad that this blog is actually doing something. I am so glad that you are getting something from this.